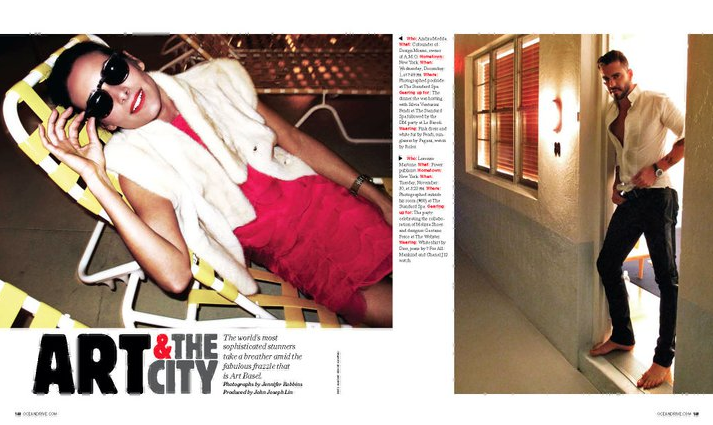 I was asked to produce an editorial for Ocean Drive bringing together the best young players at Art Basel Miami Beach. I made list after list of friends and acquaintances that would be in town, and if i can say so myself, it turned out pretty fab. My fav's being of course two friends of mine...Ambra Medda and Lorenzo Martone, both super stylish + super sweet.